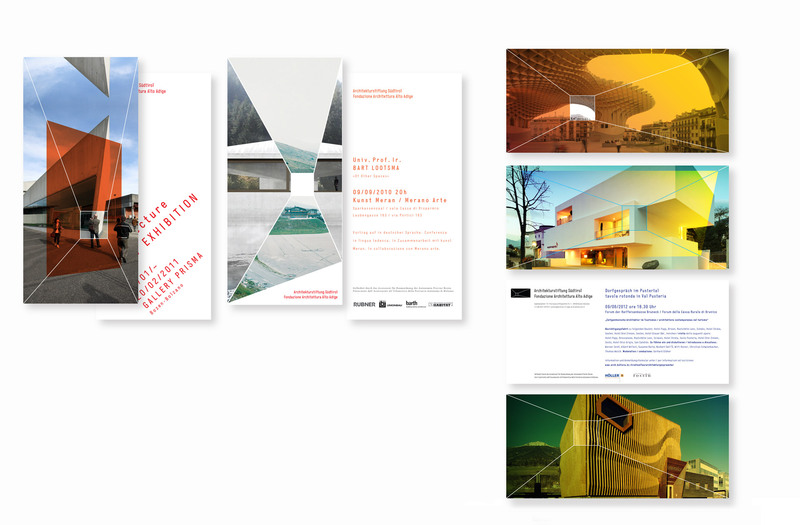 Instead of creating a conventional logo for Südtirol's foundation for architecture we developed a visual language that adapts to its medium of application. 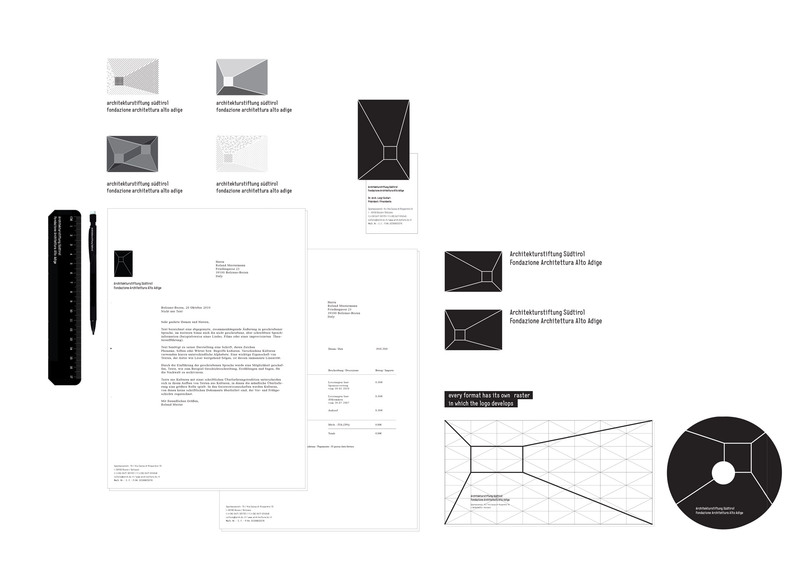 Together with Marilena Finotti we designed a modular layout grid that enables us to perspectively react to the visual language of today’s architecture – suggesting three-dimensionality in a two-dimensional format. Die Identität passt sich jeder Form an. Der Raum wird durch Begrenzungslinien definiert.